Quarryman's Lament is a song by Joe Bonamassa in the Blues genre. It was released in 2010 by the Premier Artists label. 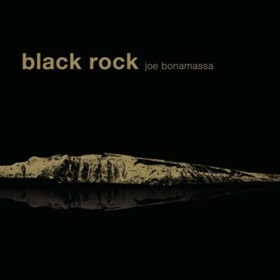 The artist's official site can be found at www.jbonamassa.com. Joe Bonamassa is my favorite current Blues performer. His most recent releases have been excellent, especially "The Ballad of John Henry" which came out last year. The song I am reviewing is, in my opinion, the best song from his latest release, "black rock", and is titled "Quarryman's Lament". Bonamassa is an extremely talented vocalist and guitarist and both are exemplified nicely throughout this song. This song has very deep lyrics and Bonamassa's emotional bluesy tone fits it perfectly. His voice gives the song a very eerie feel and the electric guitar solo makes the song extremely memorable. I would recommend picking up "black rock" just for this song alone. Excellent.